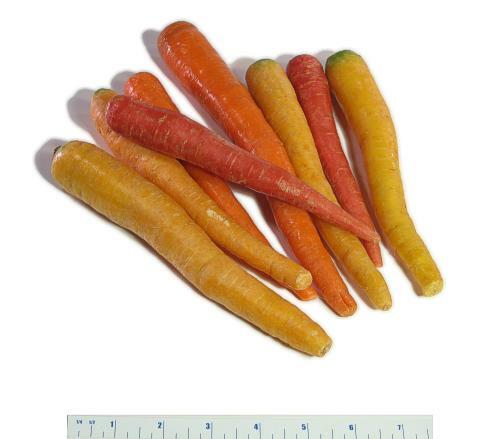 General Information: Unique red, orange, and yellow super sweet Rainbow Crunch Carrots. Traditionally bred, these heirloom variety of colored carrots are full of healthy vitamins and antioxidants--including the antioxidant lycopene. Rainbow Crunch Carrots are so colorful and sweet kids love them!